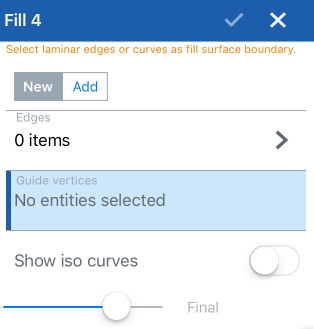 This functionality is available on Onshape's browser and iOS platforms only. 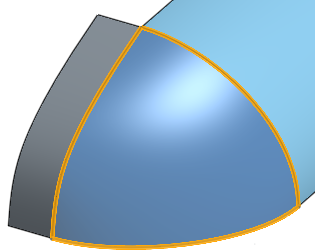 Create a surface (or a part from surfaces) by defining boundaries and refine the surface with boundary conditions (instead of requiring the use of reference surfaces). 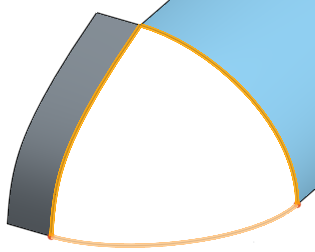 Select the Edges, which act as the boundaries of the fill. 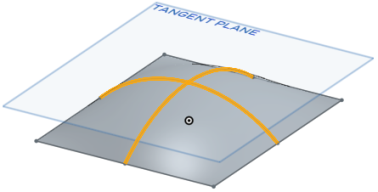 Tangency - Create an implicit tangency (normal to the plane of the selected surface) between the boundaries and the new surface (as if you had a reference surface). This works for sketch selections only, not for other planar curves. Depending on the Sample size, some rippling of the surface may occur. Precise - Uses the exact curve to form the surface. Note that this option requires very carefully designed and selected curves. See the examples below for more information. Check Show iso curvesto evaluate how the underlying surface is defined. 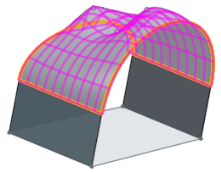 The untrimmed underlying surface is shown as a mesh to display the iso parametric curves, enabling you to evaluate the quality of the underlying surface. 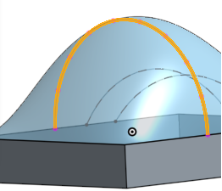 When using the Precise option with guide curves especially, if the curves meet each other, the intersection must be at a point such that the curve and the point are tangent to each other. Also, when using the Precise option, the curves must touch the boundary but not cross the boundary. But will not succeed when Precise is selected. When selecting edges, you might see red dots; these indicate missing or open curves in the boundary. 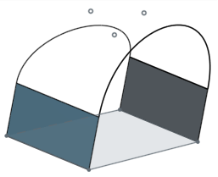 If the operation results in a closed surface (creating a volume), Onshape automatically creates a solid part (if Add is selected). If the creation of a part is an undesired result, use New to keep all surfaces and not create a part. 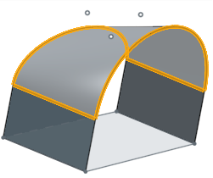 Select the Edges, which are boundaries of the fill. 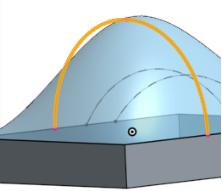 Sampled - Uses the Sample size to determine the number of vertices along the curves used to calculate the surface. A large sample size may result in the surface following the entire curve. A smaller Sample size may result in some rippling of the surface. Precise - uses the exact curve to form the surface. Note that this option requires very carefuflly designed and selected curves. Check Show iso curves to evaluate how the underlying surface is defined. 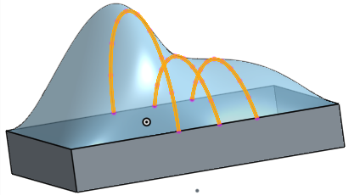 The edges of the surfaces and the two bridging curves are selected as boundaries. A new surface is created. 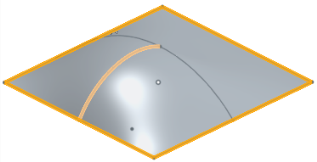 The Guide vertices are selected to further define the shape of the surface. 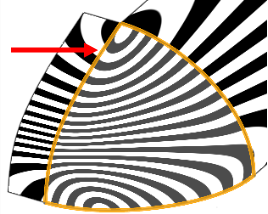 When selecting edges, you might see red dots; these indicate missing or open curves.